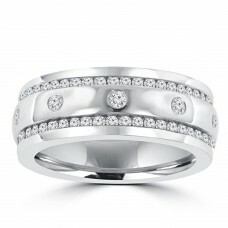 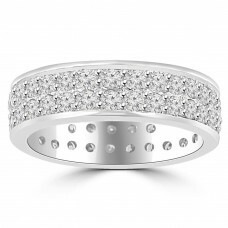 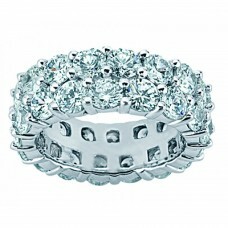 Stunning size and sparkle emanate from our spectacular round diamond eternity band with three rows of diamonds. 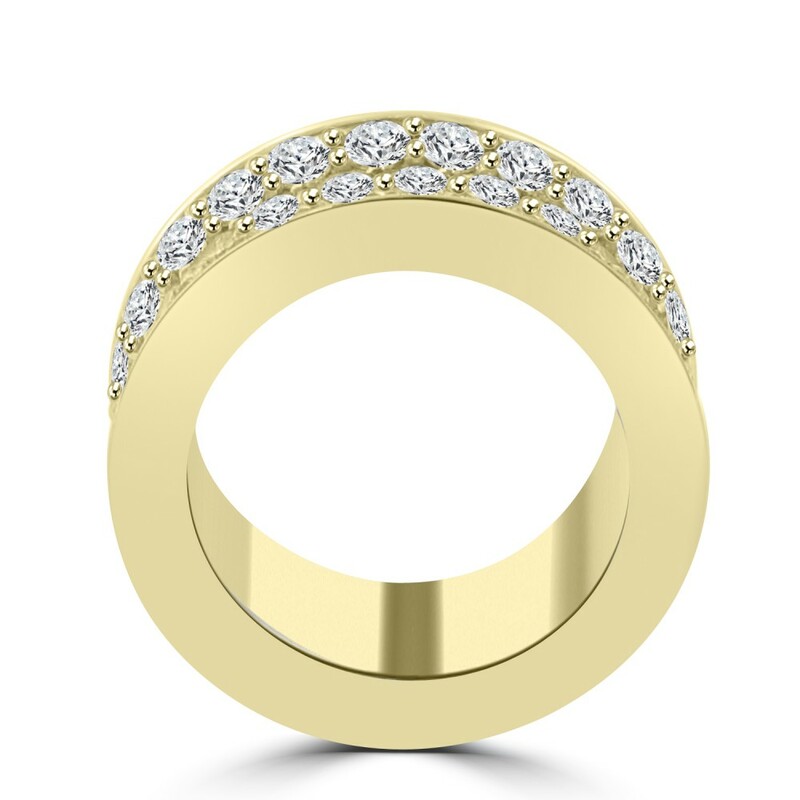 Each of these magnificent stones were hand selected for their precise G colorless quality and shimmering eye clean SI-1 natural clarity where there are no visible inclusions to the stone. 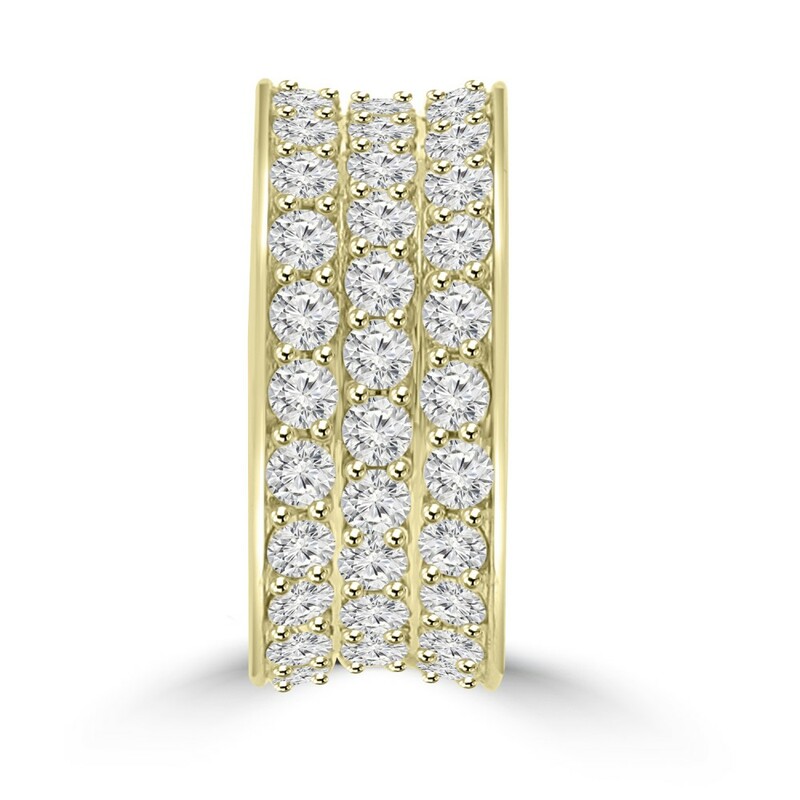 An amazing total weight of 6.92 ct are set into the prongs of this 14 kt. 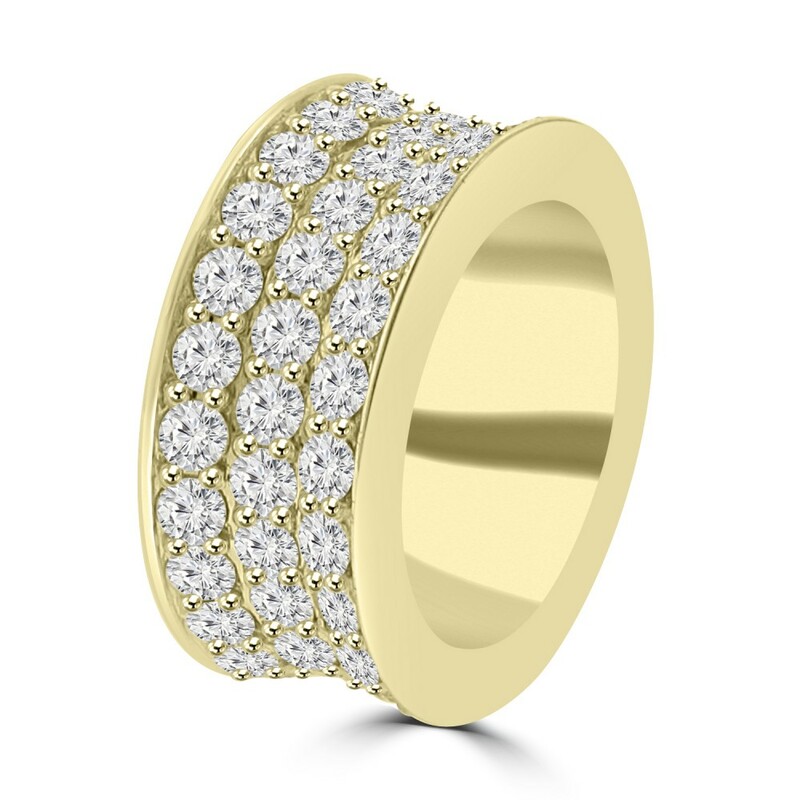 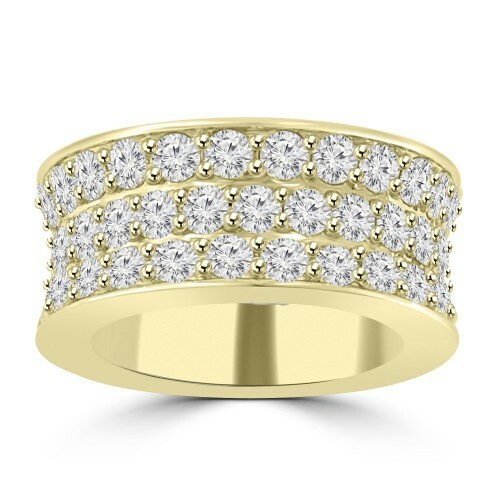 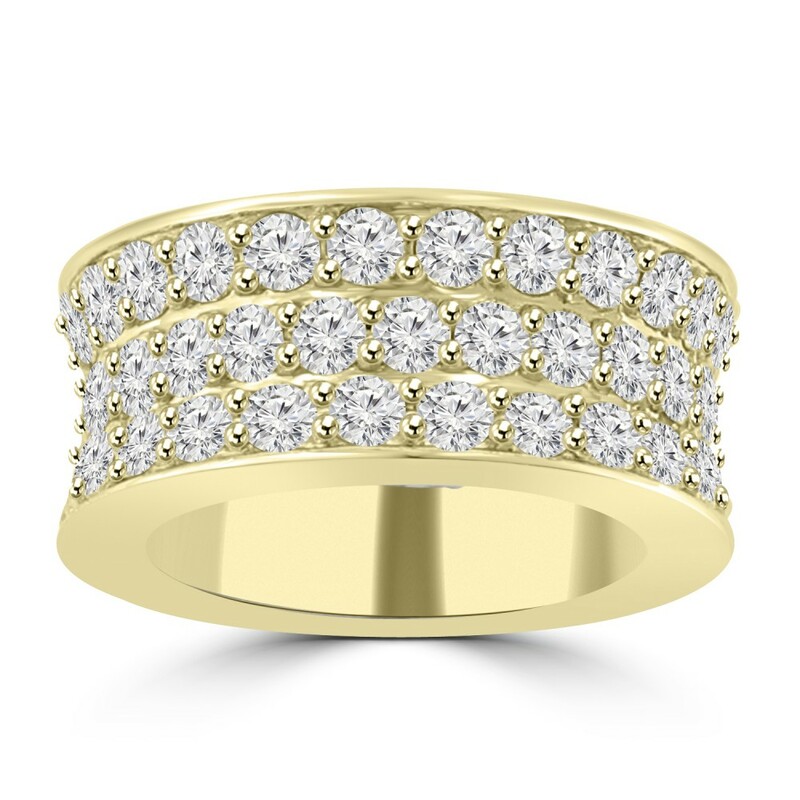 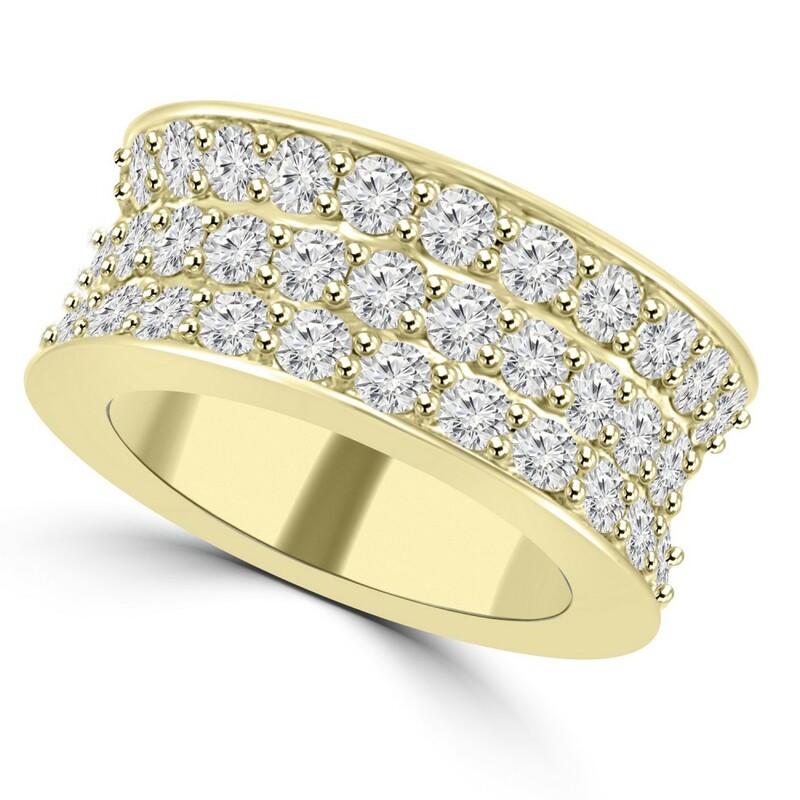 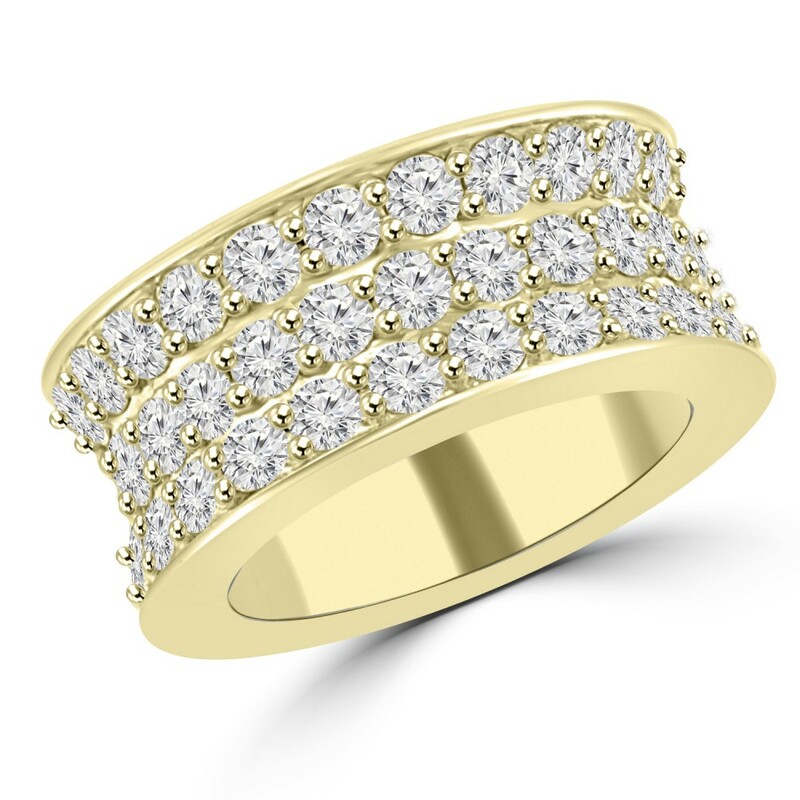 yellow gold ring, and we can custom create this beauty to fit snugly on your beloved's hand.